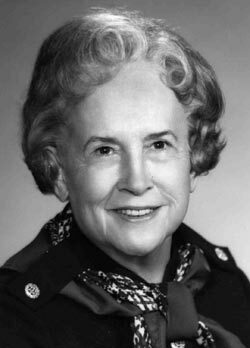 Edith Green served ten consecutive terms in the United States House of Representatives, from 1955 to 1974, as the Representative for the 3rd District of the State of Oregon. A schoolteacher turned politician, she was active in all aspect of Democratic Party politics and was especially interested in educational issues and women’s rights. She served on the Committee on Education and Labor and other House committees, and was appointed by Pres. Kennedy to the President’s Commission on the Status of Women. She championed the Equal Pay Act of 1963 and was instrumental in passing major education legislation, including the National Defense Education Act (1958), the Higher Education Facilities Act (1963), as well as the Higher Education Acts of 1965 and 1972. The collection consists of documents from Edith Green’s legislative career, and documents Mrs. Green’s strong advocacy for education, civil rights, fair labor practices, and gender equity, as well as other issues of importance to her constituency in Oregon. Materials include professional correspondence, legislative research, and documents from the committees on which Green served, including the Committee on Education and Labor. Correspondents include William F. Gaul, Mark Hatfield, John F. Kennedy, Robert F. Kennedy, Wayne Morse, Charles Porter, Terry Schrunk, Richard Neuberger, Walter Norblad, and Al Ullman. and the Oregon Parks and Recreation Department.